Cold feet are simply the worst. With all the nerve endings around our feet, it’s no wonder that we feel miserable when are toes are freezing. Make sure that your feet are always warm and happy with the Rechargeable Heated Slippers. These slippers are the ideal way of staying warm even during the dead of winter! These comfy slippers take warm and cozy to the next level- with heated bottoms for maximum coziness! Hardwood and tile flooring can absorb quite a bit of cold temperature during the winter months. It only takes a few seconds of standing on these surfaces for your toes to get icy cold. Keep your feet protected with a trusty pair of the Rechargeable Heated Slippers when you arrive home after a long day at work. These slippers are fully rechargeable and last roughly 3-4 hours on a single charge. Not only are the Rechargeable Heated Slippers warm, but they are also extremely comfortable. Thanks to the memory foam insoles, these slippers will contour perfectly to the shape of your foot in order to provide the ultimate relaxation. 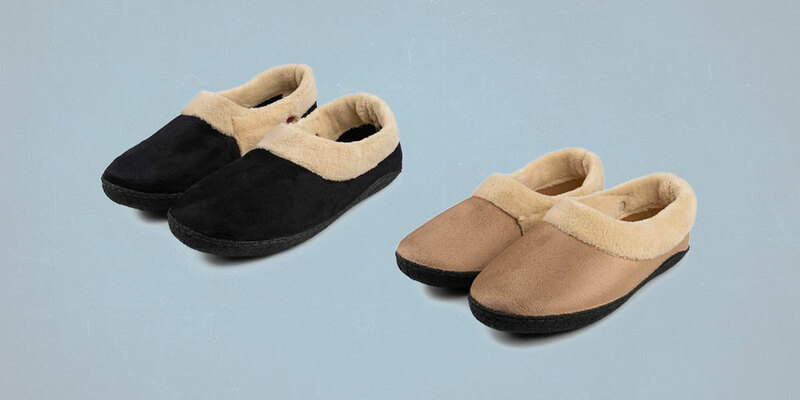 These slippers come in a beautiful black or tan color for you to choose from. For a limited time, you can use code MADNESS15 for an additional 15% off the already discounted price. That brings your total for the Rechargeable Heated Slippers to just $55.24!